Review on Socioquiz viral Facebook quizzes application. I am going to write transparent, independent review on Socioquiz. I purchased socioquiz script from Codecanyon with 44 USD. On it’s sale post, it has over 1500 sales and a lot of comments. Rating is 3.99 average out of 135 rating. I will going to tell you about it’s advantages. 1) It can create different kinds of test (prediction, score based and Random). With prediction, you can create result which is close enough to user’s personality and behavior. It’s really quite good. With score based, you can create quiz likes English Grammar test, Knowledge test. Random is for regular random result likes other viral scripts. 2) Admin Panel UI is good, easy to use and well designed. 3) compare to other scripts, it is cheap. 4) You can buy ready made quizzes from other provider. 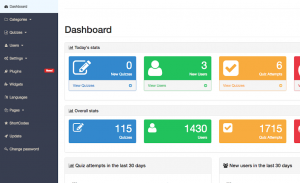 So you don’t need to spend time to create quizzes by yourself. 5) One good thing is quiz can be answered without need for Facebook sign in unless quiz has Profile picture function. So it is more safe to use nowadays after Facebook policy changes on application. This is all about advantages of using socioquiz scripts. 1) Support from socioquiz provider is really bad. I had to wait at least 5 days to get reply from them. After getting one reply, you have to wait another 5 days to get another response. (I faced issue while installing, I had to wait 5 days to proceed, but it didn’t resolve the issue with their first response, so I had to wait another 5 days). 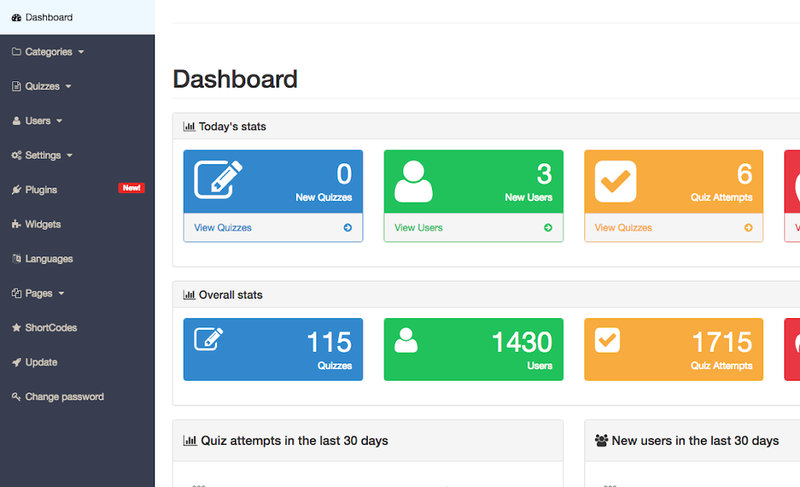 2) It will take time to prepare one quiz with socioquiz. Because it uses different image sizes for banner, thumbnail, results, OG image. So you have to crate image for everything. If you use Prediction quiz, you have to create photos for all the questions and multiple choice answers. 3) Compare with ViralFB, it has lower RPM with AdSense. So if we earned 10 USD with ViralFB, we just earned around 3 USD for same traffic, and impressions. 4) They don’t have social media support. They didn’t reply to my message on Facebook. 5) My last email to them was last 2 weeks ago, but still didn’t get reply from them. 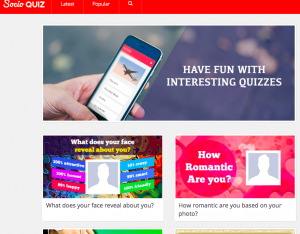 Based on my experience with socioquiz, it is good to create various kind of quizzes, it is good for viral marketing tools. But if you want to use socioquiz, you need to know a bit about server and php installing procedure. If you are new to hosting and server, you will face some difficulties. If you want to know more about socioquiz, you can reach out to me by this email: hi@aunghein.com. "Whoops, looks like somthing went wrong." Follow these steps. I hope it will be resolved. It is an issue occurring in PHP 7.1. So you need to downgrade your PHP version. Please find and remove the below line of code from the file "/application/app/Http/Middleware/Common.php". Also, it seems like your hosting doesn't have PHP zip extension installed/enabled. Contact your server support to install and enable PHP zip extension. Then the updates will work fine. i am using free hosting PHP zip extension feature is not available for me. I am not familiar with Free hosting. PHP zip extension is a must to run this script. I am hosting this script on Godaddy shared host. That's great. If you still have Whoop..problem. let me know. At the moment, you will find some difficulties to get Facebook app approval, so that your quiz may not show user profile picture. But if you already have approved Facebook app, it will be ok.
P.S. I have purchased nearly 100 ready made quiz sets for socioquiz. If you want to use it, I can give them to you with really cheap price. What do you want to know bro? Exactly, I’m experiencing that problem, I’ll re-try it. Thanks.